Catechists prepare the room by creating an altar draped in the liturgical color (violet for advent). They light a candle to remind the children that Jesus is the light of the world and display a crucifix. When the children gather, they are welcomed to CLOW and begin with a prayer. This advent, we are praying the Hail Mary. Children gather in a circle to hear the readings. What great listeners! 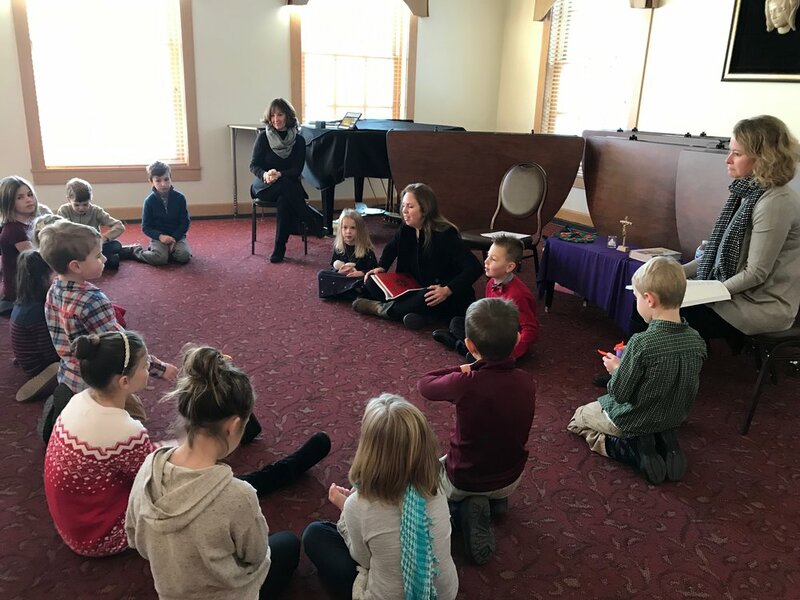 Mary Jo our Music Teacher leads the children in movement and song for the Responsorial Psalm. ﻿This is a favorite! Everyone loves singing and moving to OLG's Alleluia in preparation for the Gospel reading. ﻿The catechists lead the children in a discussion about the reading. 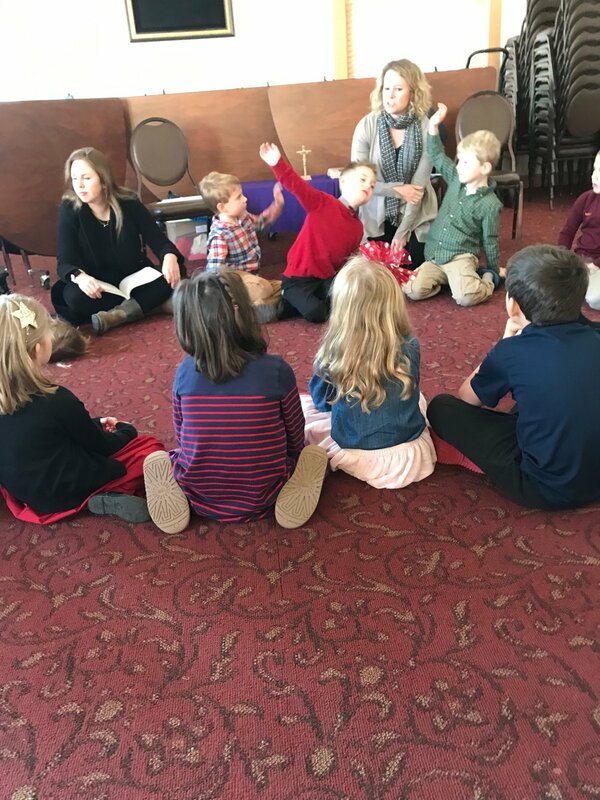 This Sunday, children were excited to share how they were preparing their hearts for Jesus just like St. John the Baptist helped prepare the way for Jesus. During the advent season, the children end their time together practicing a song about the Baby Jesus in the Manger. Lots of fun with movement and singing! 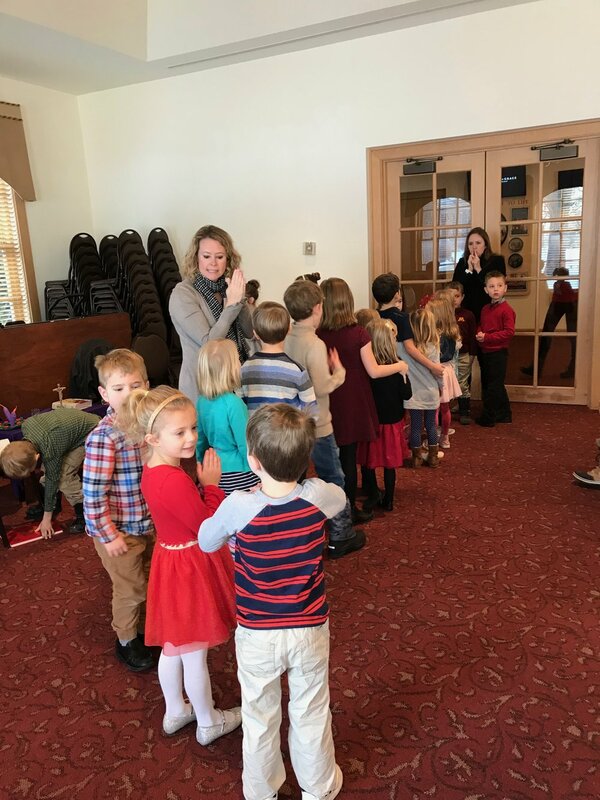 ﻿Children are asked to walk like saints, quietly and prayerfully, back to their families in the church.